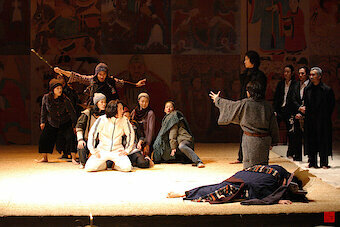 Globe Neuss was "Midsummer Night's Dream" in 2006, performed by the Yohangza Theatre Company. 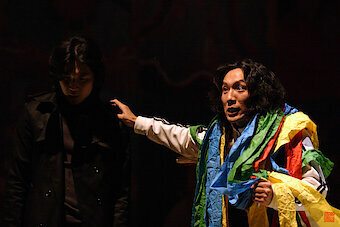 Now the South Korean company, under the directorship of Jung-Ung Yang, returns to Neuss with "Hamlet." 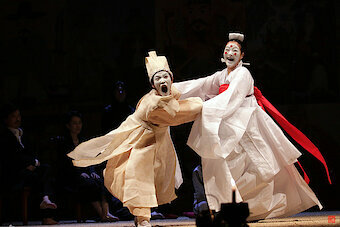 The addition "from the east" suggests a Hamlet set in the background of the Korean culture,with the shamanism of buddhism. The father's ghost is placated by a sacrificial ritual, ophelia's ghost is saved from the water in which she drowned, in Hamlet's death scenes the ghosts are sworn to take the poison out of his body and to path the way to the other world. 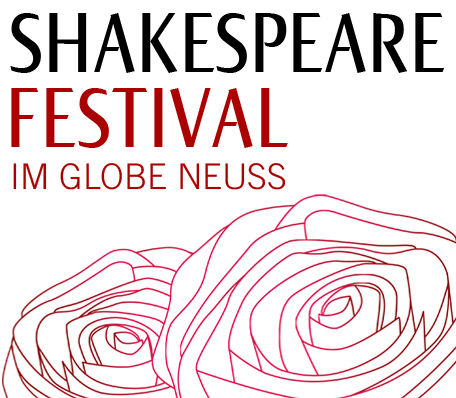 This and other rituals traverse the production and, by integrating the storyline into another cultural circle, successfully portray just how worldly the Hamlet topic remains.